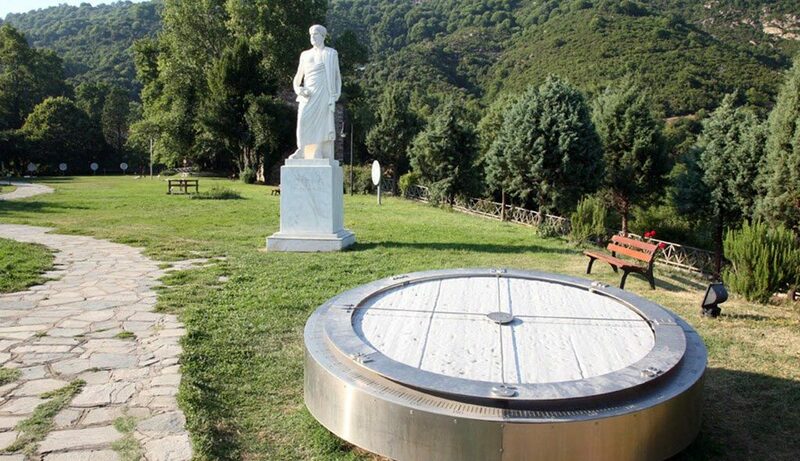 Close to the village of Stagira, in a beautiful location, the park of Aristotle can be found. It is the only theme park in Halkidiki. It is worth the visit to see the interesting instruments and enjoy the wonderful view of the bay of Ierissos. The original, interactive instruments that are hosted on the site of the grove were placed in 2003 by the Municipal Corporation. 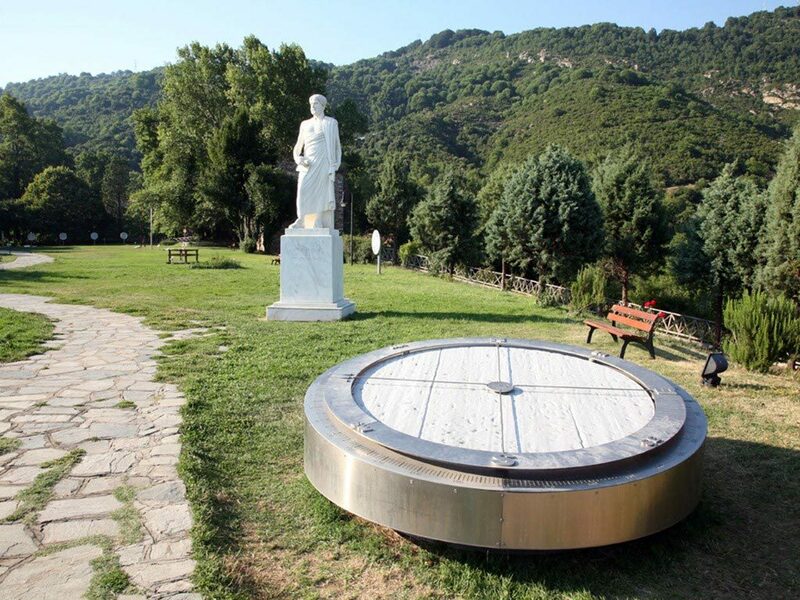 These are experimental instruments that operate based on the nature laws that are mentioned in the writings of Aristotle and especially in his project «The Natural». With this addition, the grove of Aristotle has become a favorite destination for all of the visitors and schools, as in a unique manner, it combines recreation, entertainment and education.